Home>New Songs>Larry June Songs> Curren$y Joins Larry June On Hazy "Smoke & Mirrors"
From the title and the artists involved alone, it's easy to get a read on what "Smoke & Mirrors" will sound like, and it delivers on all promises. 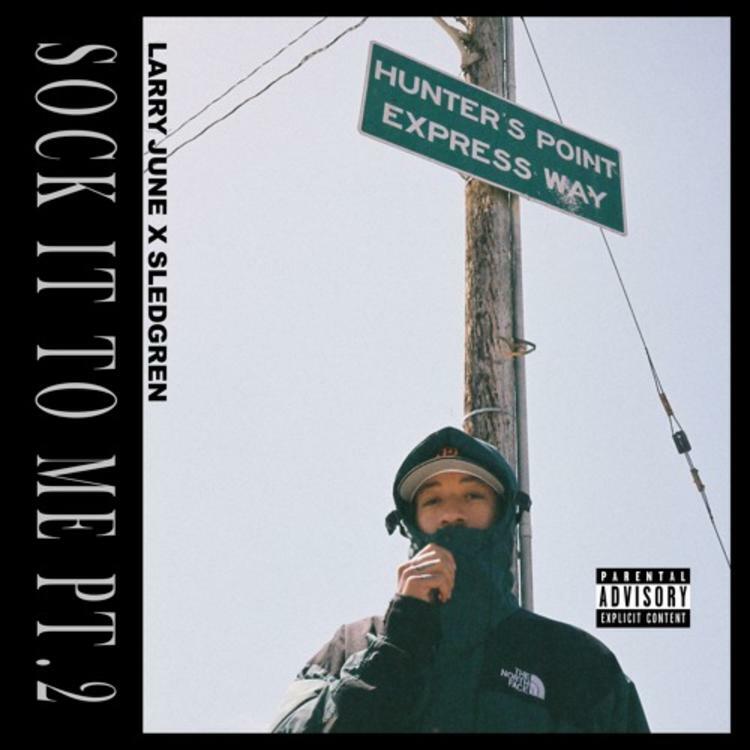 The track comes from Larry June's new project Sock It To Me Pt. 2, produced entirely by Sledgren, the Pittsburgh producer known for bringing breezy textures to Wiz Khalifa records and beyond. Here, he provides a perfectly floating instrumental that's grounded by some characteristically solid sub-bass. Larry brings in a wavy half-sung hook that's not far off from something we would have heard on Kush & OJ, but of course, subverts it with his own goofy energy. Meanwhile, Spitta is locked into his imagery-heavy storytelling that always includes details that only he could come up with. The new project is the follow-up to Larry and Sledgren's 2016 tape Sock It To Me. It features guest appearances from Maxo Kream, Starlito, Dome Kennedy and more. Listen to the whole thing here. Why wouldn't she do it? Brazy Bali Returns On Bali Baby's "AMBER Alert"
SONGS Curren$y Joins Larry June On Hazy "Smoke & Mirrors"